Inhibitory control is one of three primary executive function skills the brain needs to develop to learn. Inhibitory control is a unique skill because the brain musts learn to stop doing something. Our brains have a huge capacity but limited power. We have millions of neural connections, but things would be a mess if all of the connections were to fire at the same time. The brain has to be able to turn connections off and on to accomplish appropriate functions. Take a look at the image at the beginning of this post. You may have noticed that the pictures of animals do not have the right names. 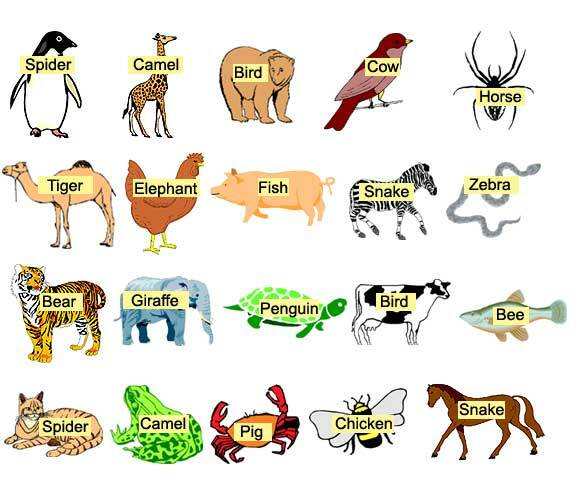 If you first try to read the animal names and ignore the images, you may feel a bit of hesitancy as you focus on the words. If you try to name the animals and ignore the words, you will likely have more difficulty. In each instance, you are practicing inhibitory control – ignoring one thing to focus on another. A second important skill is delayed gratification. When you delay gratification, you ignore your wants so you can focus on what needs to be done. Delayed gratification is an essential skill for success in life because it is what helps us plan and reach goals, both small and large. Reduce screen time and send them outside to play instead. When children are engrossed in a video or computer screen, the activity is focusing for them. These games and apps are designed to draw in and use manipulative tactics to keep attention focused. On the other hand, when children play outside there are lots of sounds, smells and sights giving children ample opportunity to learn to block some out, focus on others, and to integrate sensory processing. Engage your child in conversation. When children engage in conversation, they have to learn how to pay attention to someone else and be ready to respond. Each conversation interaction reinforces not only attention but delayed gratification. Children need millions of these kinds of interactions to build strong inhibitory control. It is incredible to think that even when children are arguing with each other or with parents, they are learning something helpful. Play games as a family. Playing games requires both attention and waiting your turn – need I say more? Set up chores, homework, and practice to be done before free-choice activities. This gives your children the opportunity to practice delayed gratification and to set up good habits later. Also, try to avoid overscheduling children to make sure there is free-choice time when work is done.